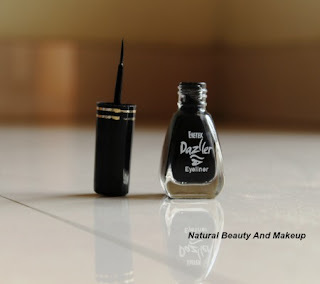 The Dazller liquid eyeliner comes in a regular sized opaque glass bottle with a brush applicator, nothing fancy about the packaging. The product is of rich black color with a matte-finish texture. But I’m skeptical about its ingredients (considering the price), as product details and ingredients are not fully mentioned on the bottle. The eyeliner is smooth, black in color. It has a semi consistency creamy texture that provides a soft matte finish. It has a light fragrance but does not last longer. If I need to describe this eyeliner in one word, it would be ‘’Excellent ‘’ I am always good with the pencil type eyeliners; not the liquid ones, but I found this eyeliner just amazing! I got this eyeliner as a gift from my regular parlor aunt. Actually I asked her to suggest me some good budget-friendly matte eyeliner and right after that this eyeliner was in my hand. To be honest at first I was not in the mood to use it for its cheap rate and that too this brand was unknown to me at that point of time (was scared if it harms my eyelid!). But then I thought to give it a try. Believe me or not, after applying it for the first time, I totally fell in love with this product. The tip of the applicator is so good that you can create the boldest and the thinnest line with this. 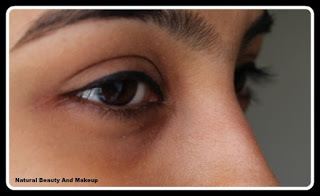 It also glides on very smoothly over the eyelids, isn’t it great? Though the applicator is quite short, but it allows for easy and smooth application. Moreover you can achieve jet black color with just one or two swipes of the brush. It looks glossy at first but then sets to a beautiful soft matte finish. It stayed on my oily eyelids for a good 4-5 hrs without smudging / cracking. I applied Vaseline (my eye makeup remover) to remove it afterwards. It is water resistant also. 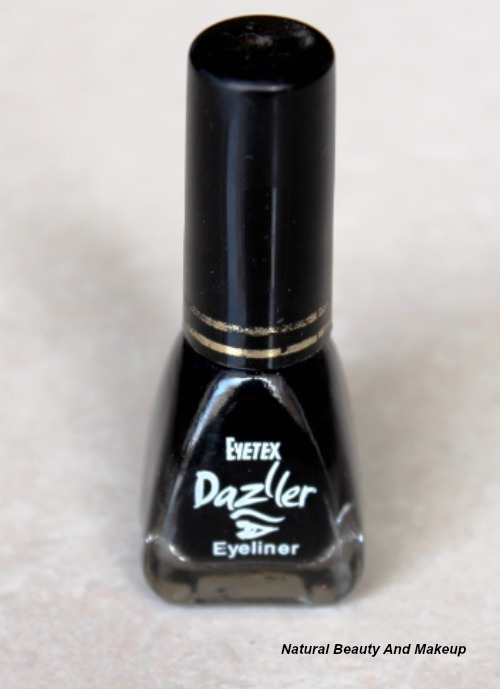 Matte eyeliner lovers will definitely like this product and is a must have for all beginners. I’m very happy to have it in my vanity. As I mentioned earlier this liner was a gift to me but honestly I loved its texture and brush wand. Already I have spotted its outlet nearby my home, though am currently eyeing on gel-liners. According to me this eyeliner is best for teens and college girls. Those who are like me; always in a hunt for pocket friendly stuffs, you too can also give it a shot. Hope my review on this will help you to decide! Have You Tried This Budget Friendly Eyeliner? What Is Your Take On It? Do Let Me Know In The Comment Section Below. i love gel liners :) This one looks nice but i have not seen it in stores.. I have no idea of your place dear, but I spotted its outlet in Pune!